Legos bring out the kid in all of us, and that’s great thing! 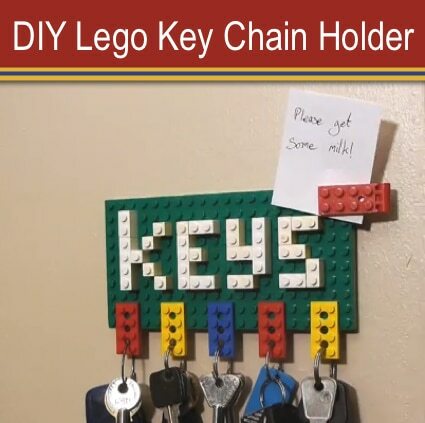 We love Dave Hax’s latest video tutorial showing how easy it is to make a lego key chain holder. We’ve seen a couple other versions of the lego key chain holder, but Dave’s version is best and has a bonus feature. He explains how to add a note holder to the board so anyone in the house has a central location to leave messages.